“Wait a minute, I’m driving through a dead spot…” We’ve all said it. (Sometimes we’ve even said it to get rid of someone.) It’s true, though. Even in heavily populated areas it’s possible to drive into an area of bad reception, especially if you’re going 65 miles per hour. If you depend on your phone and your car to do business, you need to consider an in-car cell amplifier system. These aren’t the cheesy stickers you see on TV, these are real, solid electronic components that actually work. Most phones use less power when they’re receiving a strong signal so battery life should increase. The idea is that an external antenna mounts with a magnet onto your roof or trunk. You run a wire into the amplifier and it provides better cell service in a very small area around the amplifier, by acting as a micro-cell tower. By mounting the antenna outside, you get better signal because the cell signal isn’t bouncing off all the metal parts in your car. The antenna is also bigger than your phone’s antenna and sits higher up… remember in the antenna world bigger and higher are the two key features every antenna wants to have. 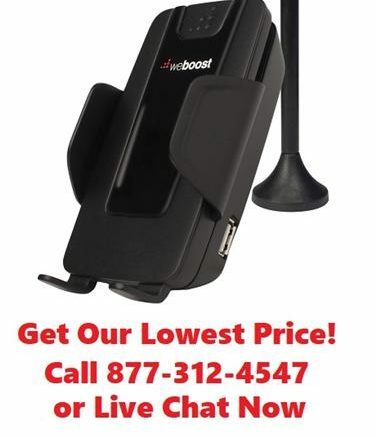 Solidsignal.com carries a wide variety of cell boosters designed to work with any phone, whether you’re waiting for the iPhone 8 or if you have a phone that needs boosting now. Just remember, keep your eyes on the road and your fingers off the keyboard! Why is it called “cellular” technology?